Nations Lending Corporation has announced that the company's growth as a national mortgage lender has inspired the firm to move into larger office space in Independence, Ohio 44131. In late 2011 the mortgage banking company began occupying the entire second floor of a new office complex in order to originate, underwrite and process more residential refinance mortgage loans. Nations Lending Corp. is an expanding national residential mortgage lender and mortgage banking company located in Independence, Ohio. Nations Lending Corporation (http://www.nlcmortgageloans.com, NMLS ID # 32416) spurred by an expanding staff of mortgage bankers and administrative staff, outgrew their former corporate headquarters at 7029 Pearl Rd # 300, Middleburg Heights, Ohio 44130 in 2011. Nations Lending Corporation has announced that the company's growth as a national mortgage lender has inspired the firm to move into larger office space at 4 Summit Park Drive, Suite 200, Independence, Ohio 44131. As a rapidly growing direct lender, the mortgage banking company now funds over half a billion dollars annually in mortgage refinancing loans, home equity loans and home purchase loans. Nations Lending Corp. is a national residential mortgage lender and mortgage banker serving the wide ranging mortgage needs of homeowners across the 35 plus states where they are currently licensed. Nations Lending offers FNMA, FHLMC, FHA, VA as well as other niche mortgage products. The new corporate headquarters are now centrally located in Independence, Ohio, just south of Cleveland, Ohio. Nations Lending, is a highly recommend member of the Mortgage Bankers Association. Nations Lending is an approved HUD Direct Endorsed Lender and an Automatic VA Lender that controls all aspects of the mortgage loan origination process. 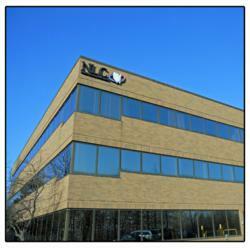 NLC provides on-site mortgage processing, closing and funding. Secured mortgage loan programs and services offered include conventional fixed rate mortgage loans (30, 25, 20, 15 and 10 year), conventional adjustable rate mortgage loans (10/1 ARM, 10/1 Interest Only, 7/1 ARM, 5/1 ARM and 3/1 ARM), VA Interest Rate Reduction Refinancing Loans (IRRRL), FHA mortgage loans for first-time homebuyers and existing homeowners, VA loans, Fannie Mae DU Refi Plus loans, Fannie Mae Refi Plus loans, HARP Mortgage 2.0 Refinance loans, home equity loans, jumbo mortgage loans, debt consolidation loans, reverse mortgage loans and USDA loans. Nations Lending Corporation provides mortgage loans to borrowers who want to purchase or refinance the following types of houses and dwellings; single-family residences, multifamily (multi-family) residences of 2-4 units, condominiums, manufactured homes, town homes and single family properties. Nations Lending Mortgage (NLC) mortgage refinance customers want to "lower my mortgage rate and payment". Nations Lending Corporation can minimize their loan payments and reduce their monthly mortgage loan payments by lowering their mortgage rate. The expanding team of licensed mortgage loan originators service homeowners and home buyers across the United States. Their knowledgeable, responsive, and helpful mortgage loan originators work with borrowers to provide timely funding for mortgage loan refinancing and the purchase of a residential property. At Nations Lending Corporation, service doesn't end at the time of closing. The staff is available to customers at any time in order to make their refinancing as pleasant and efficient as possible. Attention to detail and follow through separates NLC from their competition. The specialized financial institution delivers industry leading mortgage interest rates to borrowers who are buying a home. The expanding mortgage banking company provides mortgage loan quotes after reviewing a mortgage loan applicant's property type, debt-income ratios, down payment amounts, personal tax returns, the appraised value of the property, the loan purpose, income, credit reports and credit scores. Competitive mortgage interest rate quotes are frequently based on a 30 day mortgage interest rate lock assumption. Mortgage interest rate quotes assume that taxes and insurance will be included in the total monthly house payment. Nations Lending Corporation mails "Mortgage Reduction Notifications" to creditworthy borrowers and qualified home loan applicants. A prescreening process takes into consideration, several factors that prequalify homeowners to get a mortgage loan quote. Customers choose NLC to take advantage of lower interest rates and lower mortgage payments. NLC mortgage loan customers value their exceptional customer service, low fees and efficiency in delivering fast underwriting (UW) approvals and turn times (turn-times). NLC approves home mortgage loan applications quickly. The NLC administrative staff efficiently collects signed loan documents such as Truth-in-Lending and settlement statements, deeds or mortgages and promissory notes. During the important final mortgage closing paperwork process, proof of required insurance and inspections are also obtained from residential mortgage loan customers. NLC provides business opportunities to independent originators and mortgage bankers that are considering partnering with a national lender to strengthen and improve the financial products they currently offer to their borrowers. Services provided include lead generation, mortgage processing, underwriting services, loan origination software (LOS) and a wide range of financial products. NLC's company profile describes the firm as a highly rated, stable, knowledgeable and growing lending institution represented by a team committed to the highest level of integrity and professionalism. Nations Lending Corporation (Corp.), a Cleveland, Ohio mortgage lender and mortgage broker, receives outstanding business reviews and few complaints from their customers. Nations Lending Corporation (NLC) works diligently to formulate business practices that produce positive business reviews and ratings. Borrowers that qualified for home loans from Nations Lending Corporation used Zillow.com in 2010 and 2011 to report their reviews and ratings of Nations Lending Corporation's business practices and customer service. NLC is consistently hiring and offers career opportunities to mortgage loan officers, mortgage loan processors and mortgage loan underwriters. Read about Nations Lending Corporation's Growth and Move Into Larger Office SpaceNations Lending Corporation has announced that the company's growth as a national mortgage lender has inspired the firm to move into larger office space at 4 Summit Park Drive, Suite 200, Independence, Ohio 44131. 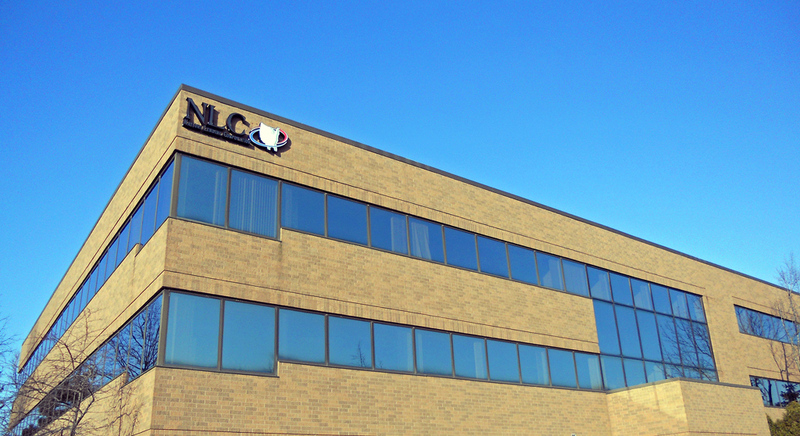 A picture of the new, larger office space for Nations Lending Corporation.A picture of the new, larger office space for Nations Lending Corporation at 4 Summit Park Drive, Suite 200, Independence, Ohio 44131.